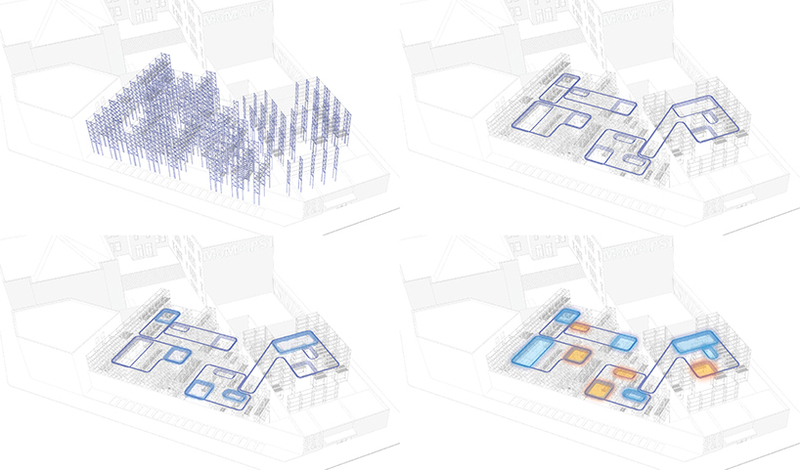 even though most of us engage logistics in some way almost daily, rarely do we encounter its spaces, materials, or atmospheres in a direct way. 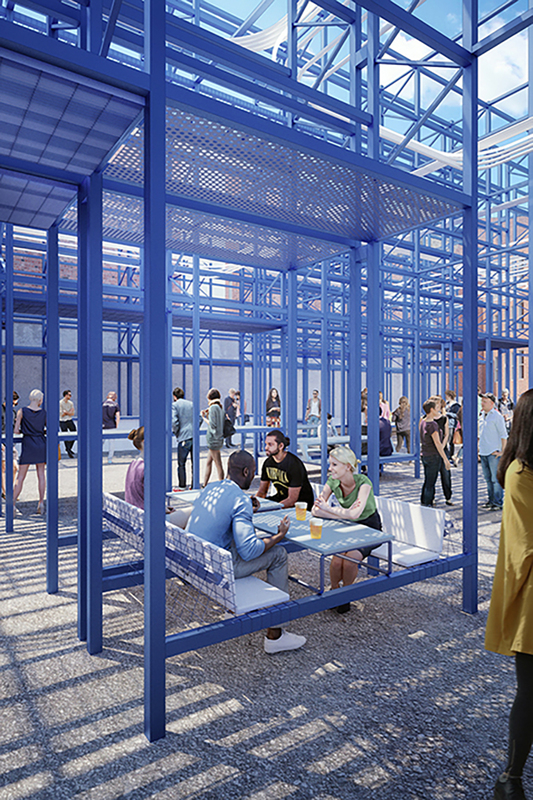 designed by lecavalier R+D and the runner-up in the 2018 MoMA PS1 young architects program SHELF LIFE is an inhabitable landscape that intervenes in the material systems of logistics to transform the PS1 courtyard into a place for fun, relaxation, and exploration. 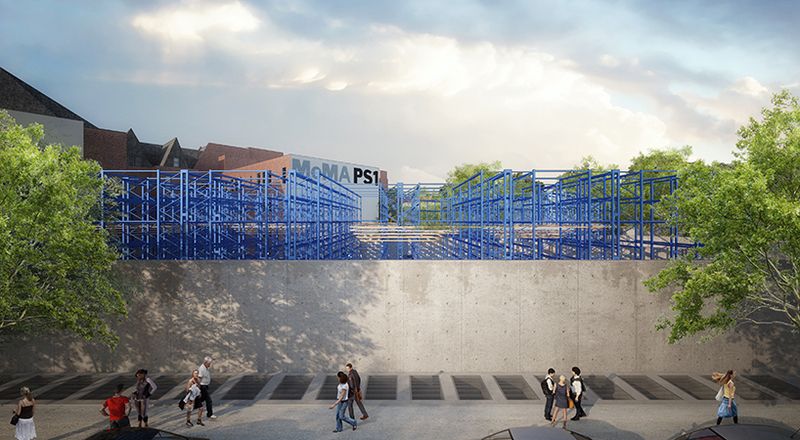 presenting works that close this gap by transforming the elements of logistics into a lively and interactive design that completely fill the MoMA PS1 courtyard with more than 140 industrial pallet racks to support a myriad of community activities. american based designer and author jesse lecavalier‘s project is an assemblage of three repurposed types of elements: racks, tracks, and stacks. 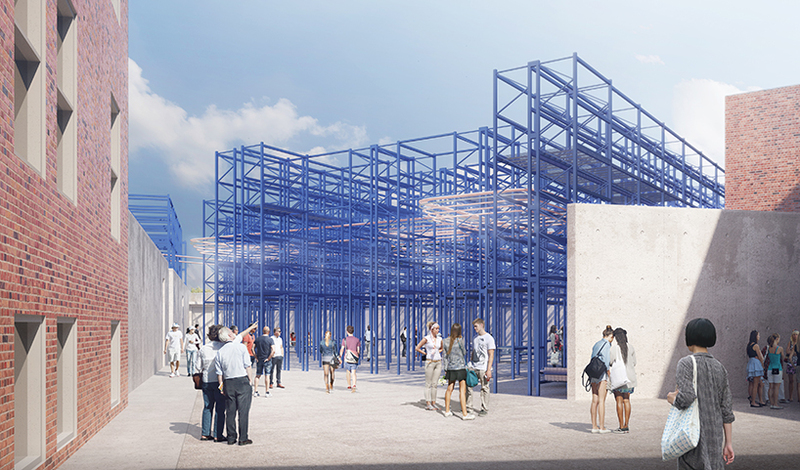 while these are familiar objects, their reconfiguration into a massive array creates exciting atmospheres and the potential for new activities that subvert that ordinariness. 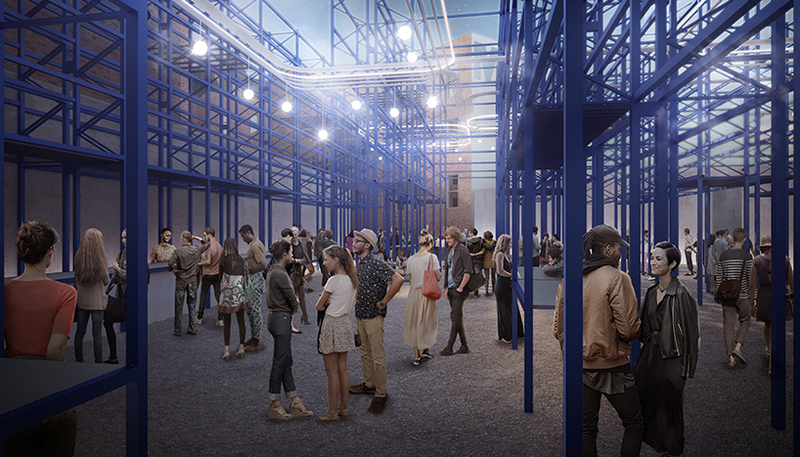 this large installation is flexible and generous, capable of accommodating crowds of 5,000 people for the summer MoMA ps1 warm up concert series while also creating more intimate places for lectures, performances and everyday use by the community. 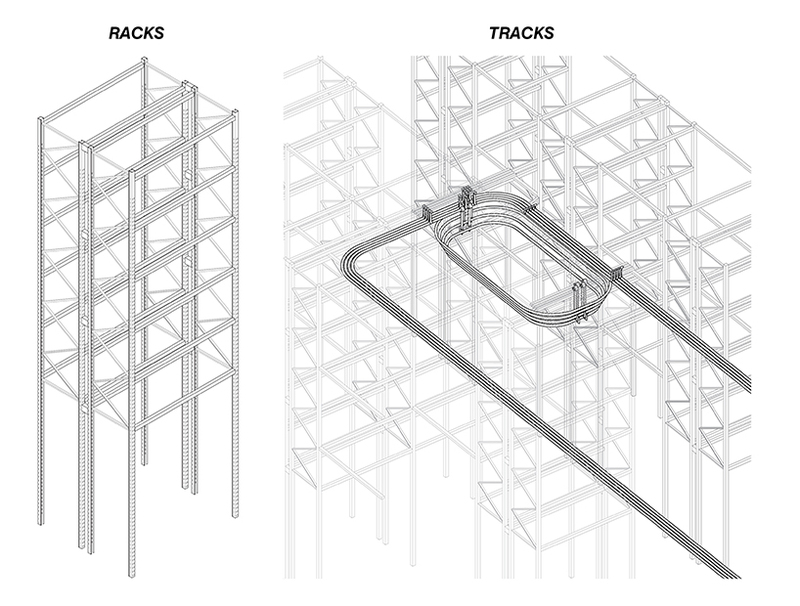 the racks form an enveloping matrix of aisles and cross-aisles. 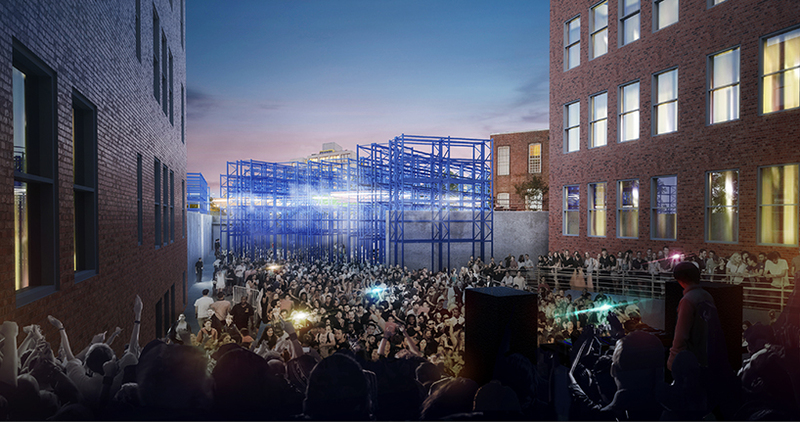 at almost three-stories high, they peek over the 15 foot-high ps1 perimeter wall and invite the community to enter the courtyard. 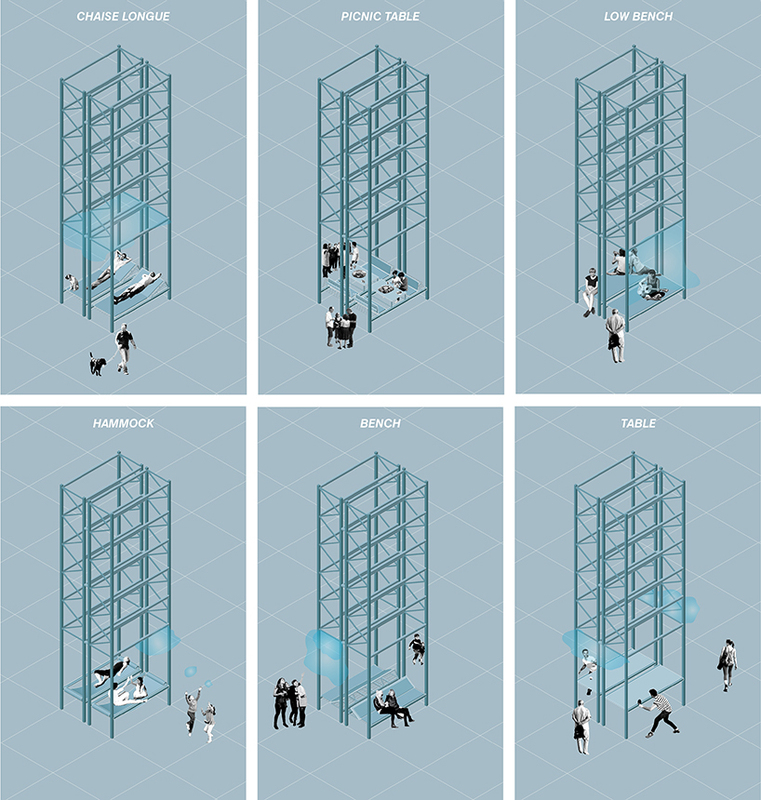 selective removal of rack elements generates a curated selection of gathering spaces that visitors can discover while exploring the project. 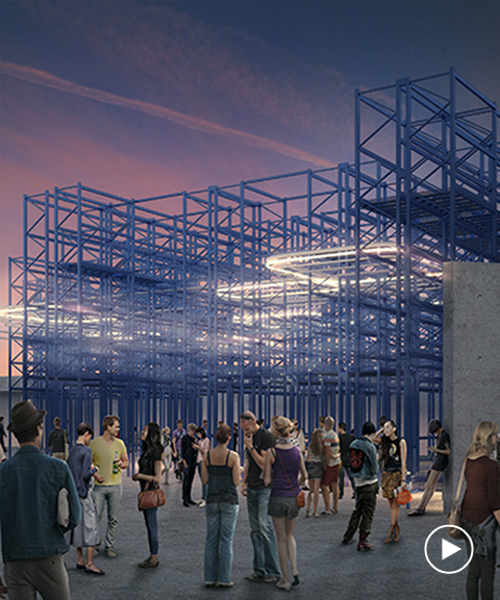 through some simple structural inventions and through economical use of existing walls, the pre-engineered elements can be bundled together to offset bracing requirements at the ground level. this effectively allows the ground plane to appear open while the massive structure floats overhead, almost like a forest canopy. 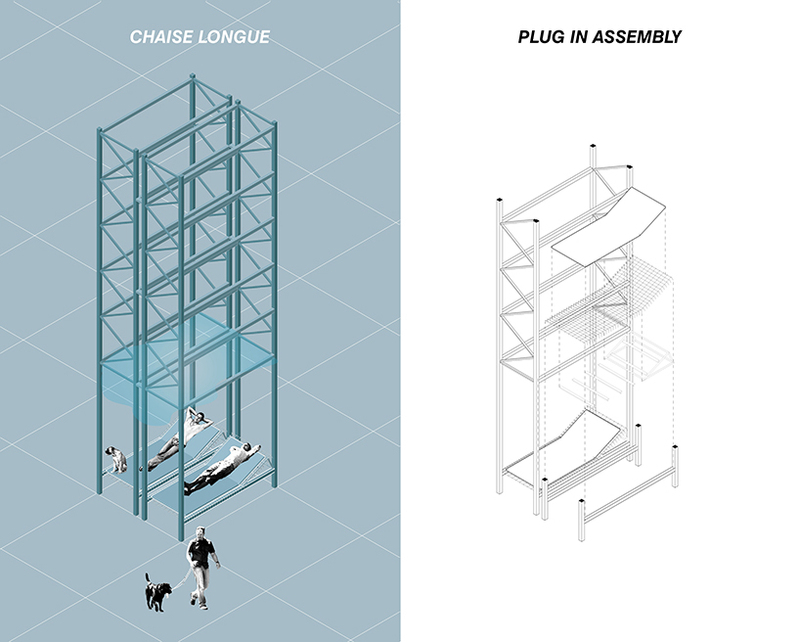 the stacks are custom furniture built into the racks from off-the-shelf components. 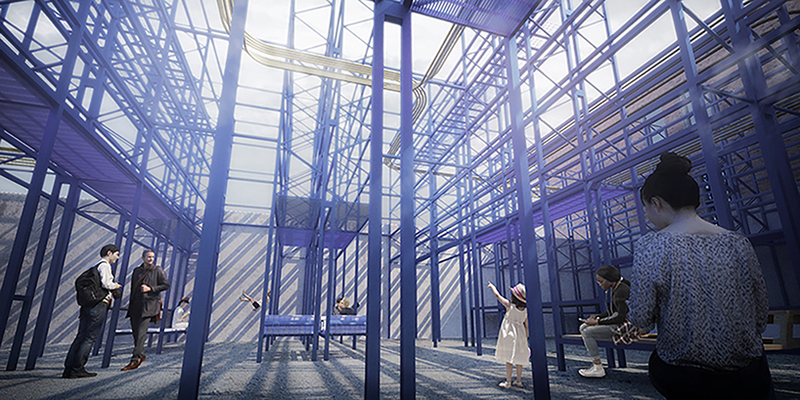 they provide a range of possibilities for inhabitation, from socially-activating uses like ping pong tables to more contemplative and relaxing activities like hammocks and lounge chairs. 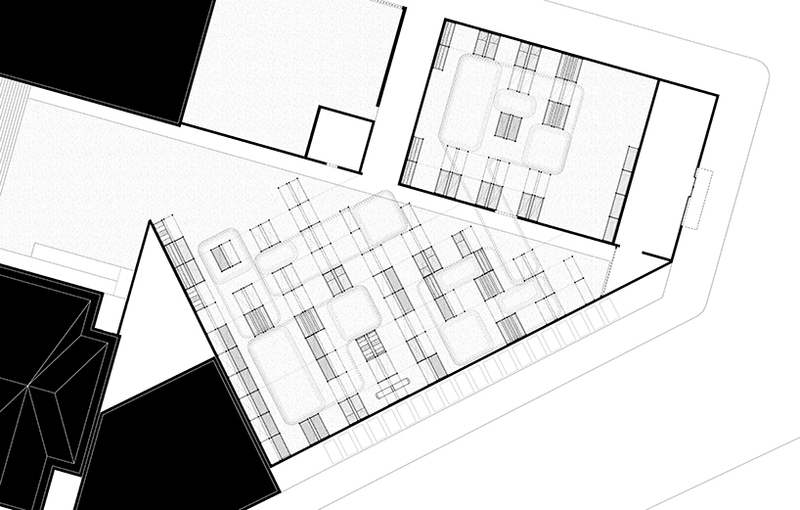 the furniture elements are integrated into the design to create possibilities for more intimate experiences while still supporting the large open clearings provided for larger gatherings. once the summer is over, the elements of shelf life are disassembled and reintegrated into the logistics streams from which they were initially appropriated. we imagine the space of shelf life to be both recognizable and elusive. 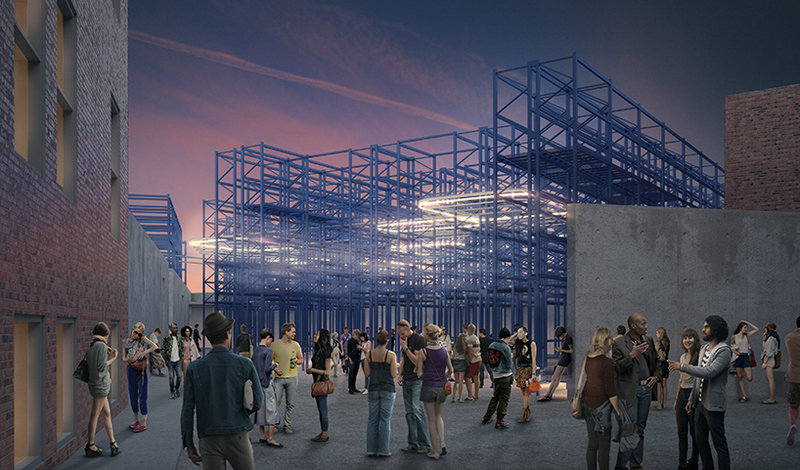 the project is a social and experiential infrastructure that uses the physical material of logistics to invite exploration, discovery, and reflection on familiar elements assembled in a surprising and new context.